Johnson County Central Public School is a consolidated district with campuses in both Tecumseh and Cook. 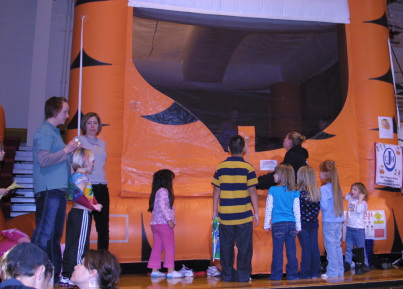 The High School and Pre-K-3 classes are held in Tecumseh and 4-8 & Middle School classes are held on the Cook campus. 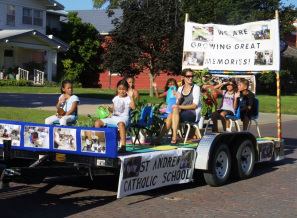 St. Andrew Parochial serves 30 preschool and elementary students and is affiliated with St. Andrew Catholic Church. Southeast Nebraska Community College is a two-year public institution of higher education with campuses in Beatrice, Lincoln and Milford, Nebraska, plus continuing education centers in each of the 15 counties served by the College. Request program information and/or a college catalog at www.southeast.edu. Peru State College is a public, four-year Liberal Arts College located in Peru, Nebraska. Their "Campus of a Thousand Oaks" is only 32 miles east of Tecumseh. The University of Nebraska at Lincoln is a public, 4-year University in the Big Ten Conference. Located in Lincoln, Nebraska, the main campus is composed of a downtown campus and east campus.